While Deku had never been under the threat of being rejected by his mentors ever since he inherited OfA, Shigaraki will be all but compleyely discarded if he can't produce results soon. 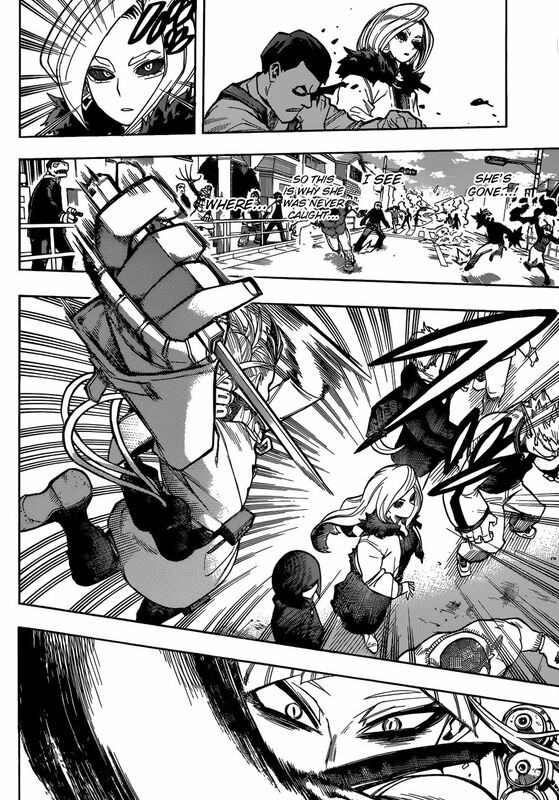 This gives the Shigaraki in the protagonist role that tasty underdog-flavored spice that Deku, after mastering more of OfA and taking down multiple powerful villains, lost. Meanwhile Spinner is struggling to find his place in the world as he realizes the perverseness of Shigaraki's desires and the feebleness of the ties that bind the league. In the middle of it all, we have Compress, Twice, and Toga providing entertainment through their dynamic personalities and interactions. All in all My Villain Academia chapters are being very pleasant to read and I hope it can deliver an amazing ending.